The independent, not-for-profit policy network Future of London, supported by the Mayor of London, has launched a pan-London pledge to help development & infrastructure better reflect London’s diversity. 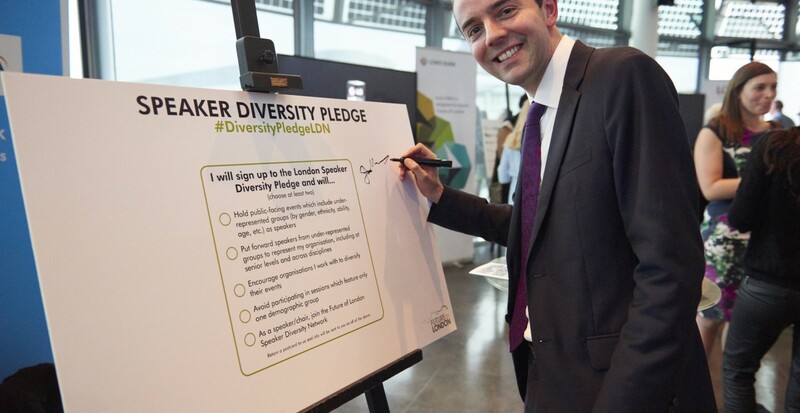 “London’s diversity is its biggest asset”, according to the deputy Mayor for Housing, James Murray. "Many decisions on housing, regeneration, transport and more are still led by traditional voices, but the Mayor wants every single Londoner to have the chance to thrive” and plans to lead by example. As a speaker/chair, join the Future of London Diversity Speakers’ Network, to help increase the pool of voices. Hadley have been working with Future of London for the last 18 months, contributing mentors to the Future London Leaders programme. We are also proud to be a contributing partner to the organisation's advanced programme, Leaders Plus.